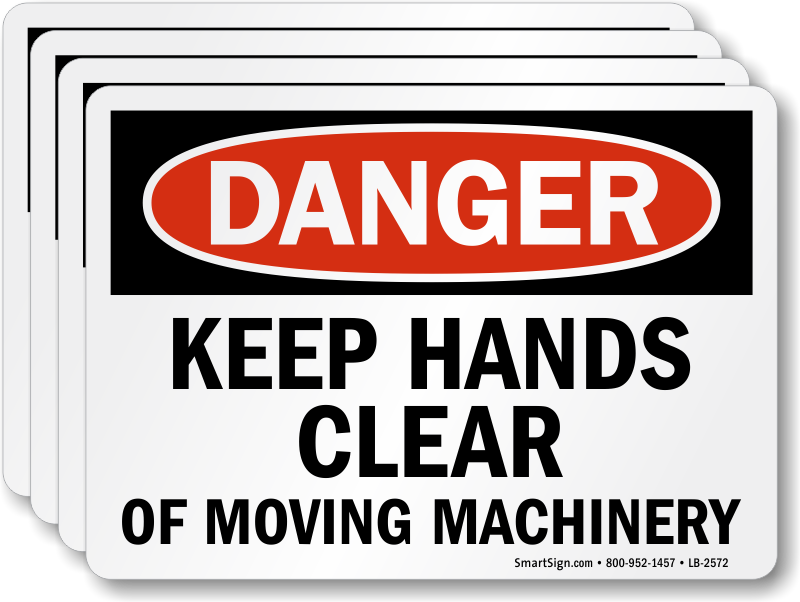 Moving machinery, blades, etc. 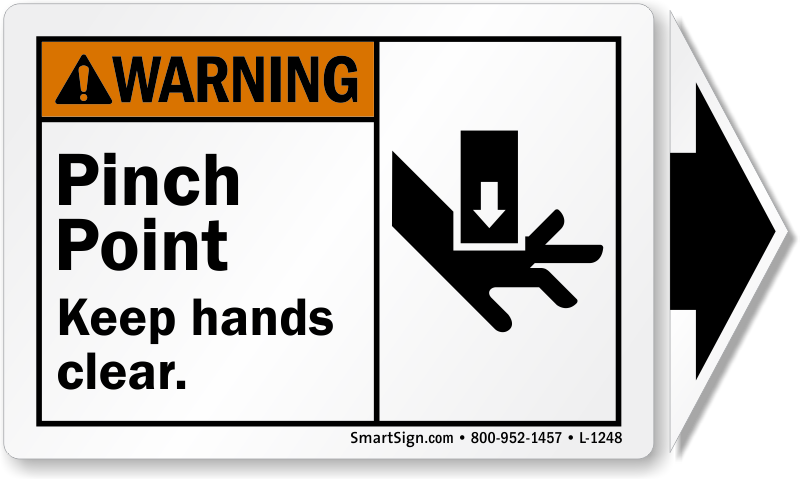 are hazards that must be marked. 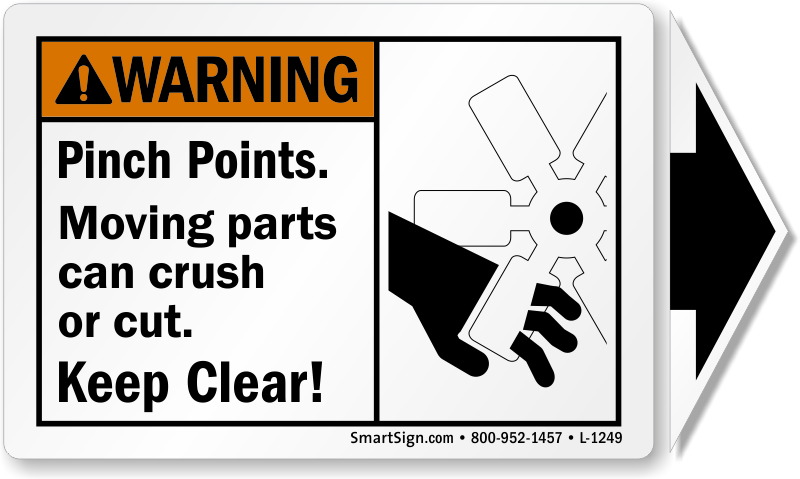 Handy labels help prevent accidents with an on-the spot reminder. 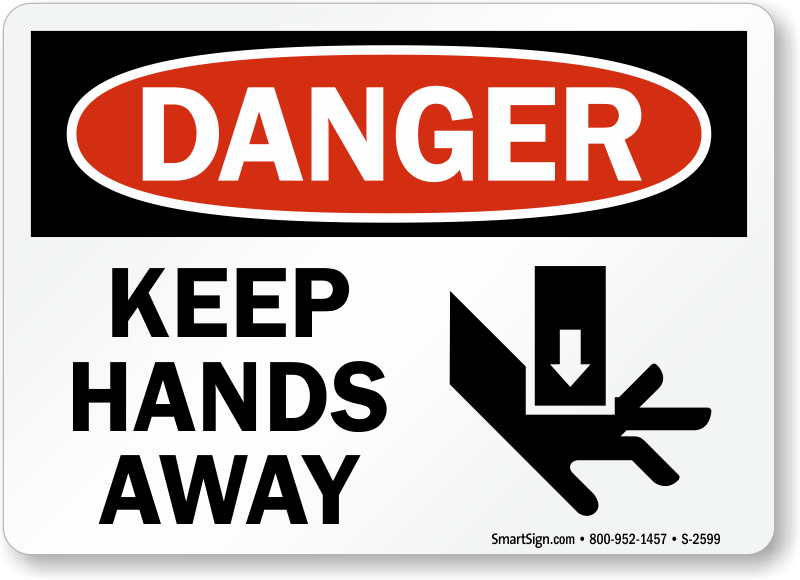 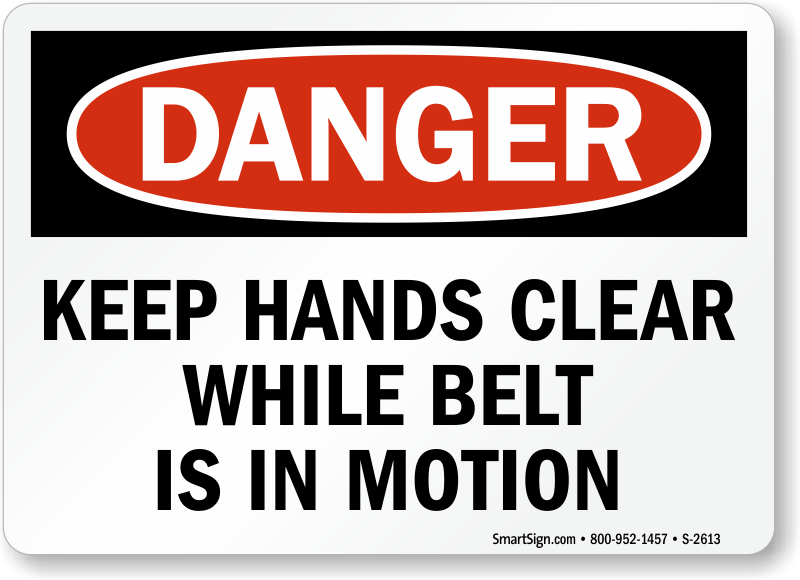 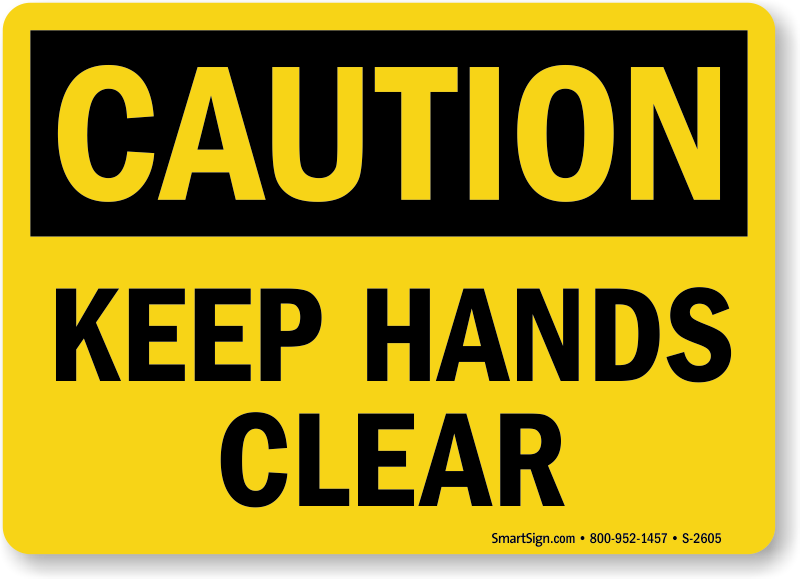 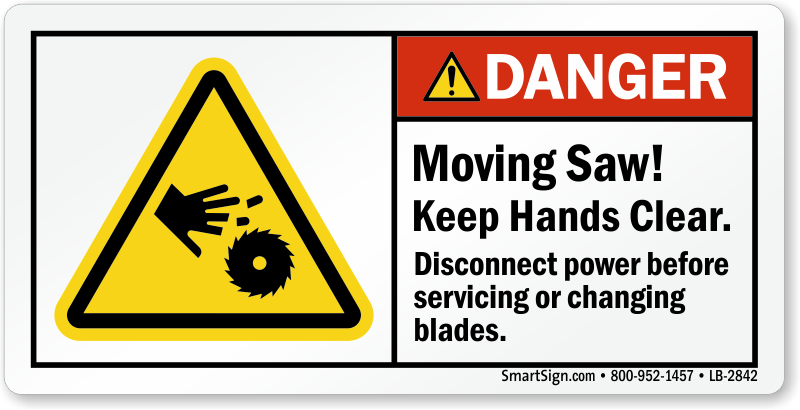 When people are reminded about keeping their hands safe, they are much less likely to forget about the hazards. 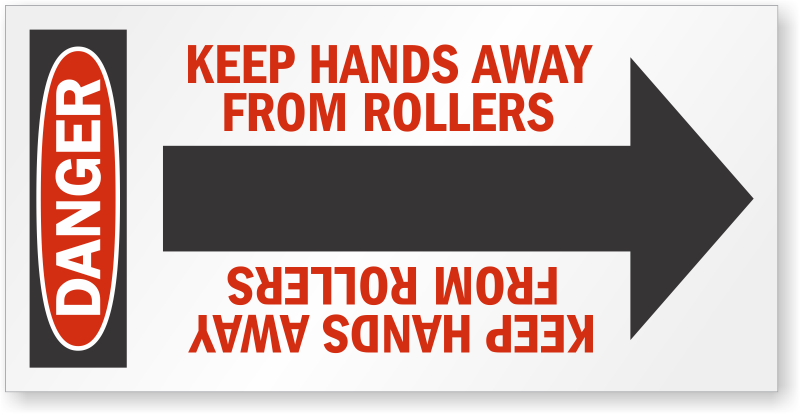 • Both laminated and unlaminated labels are available. 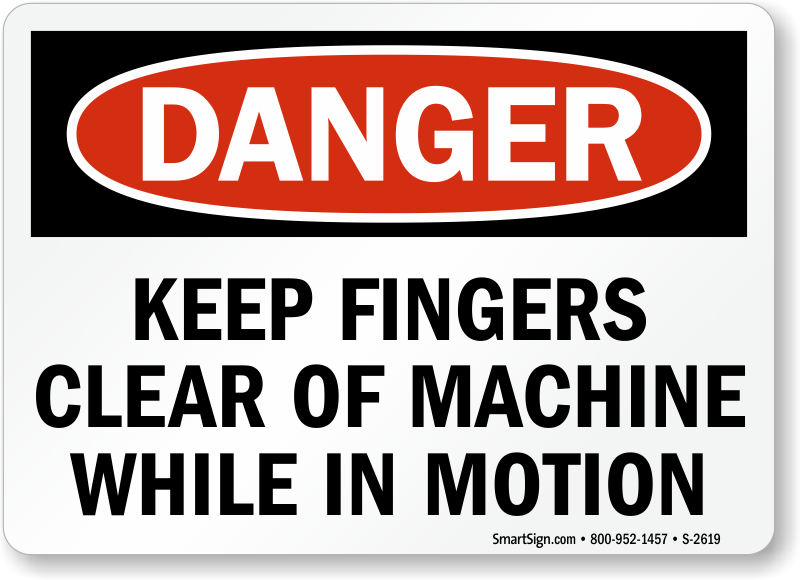 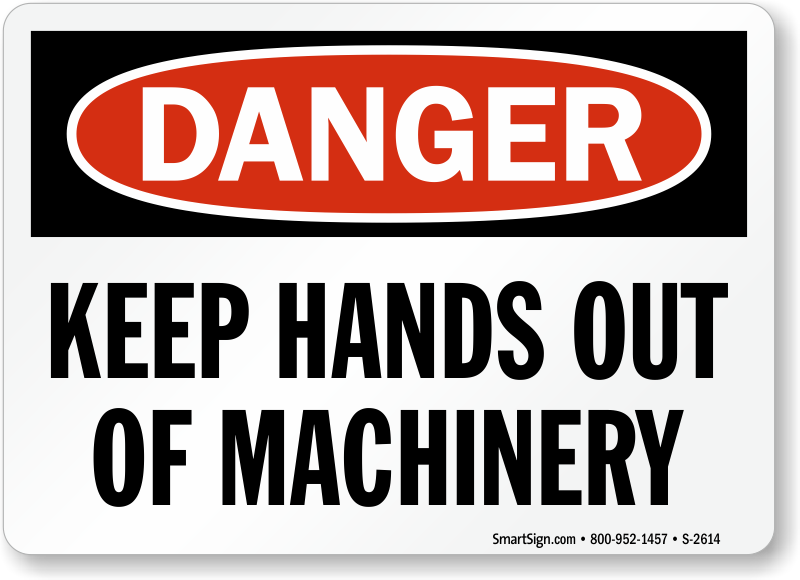 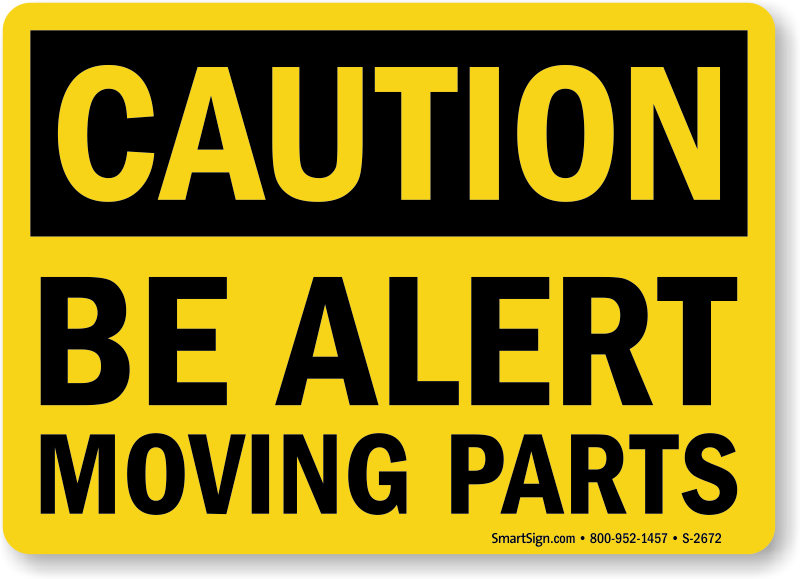 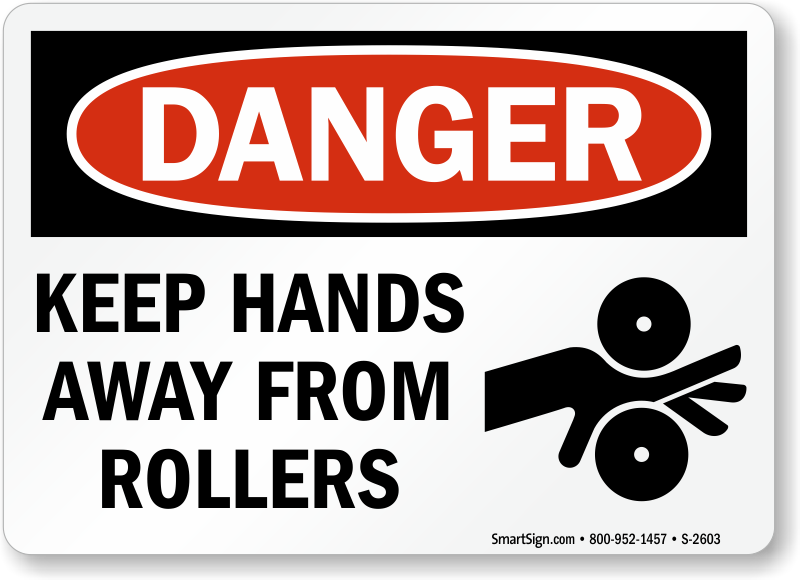 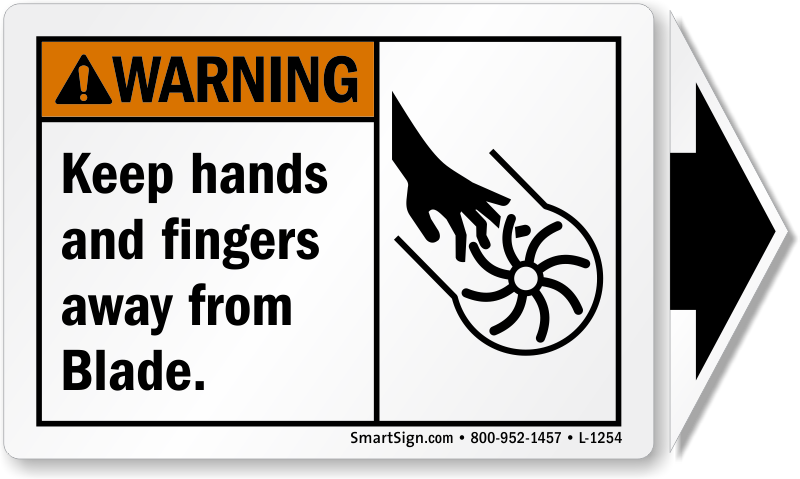 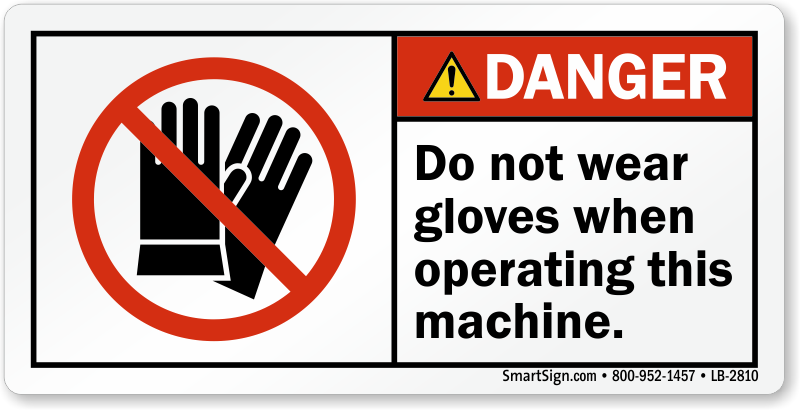 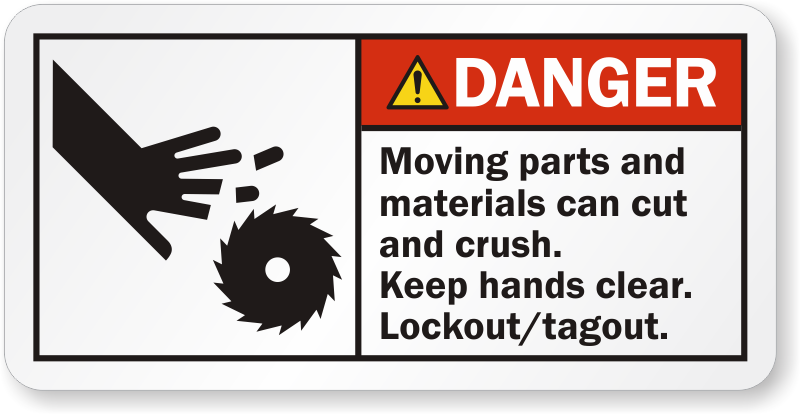 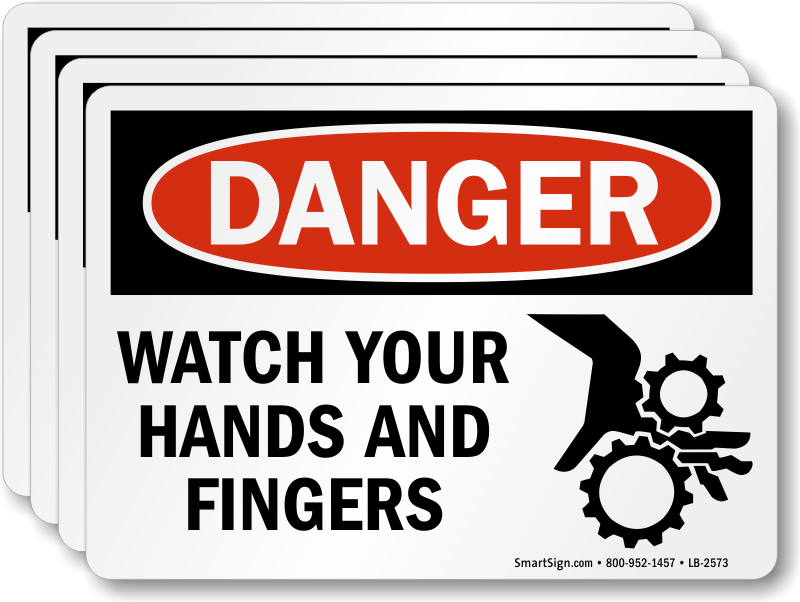 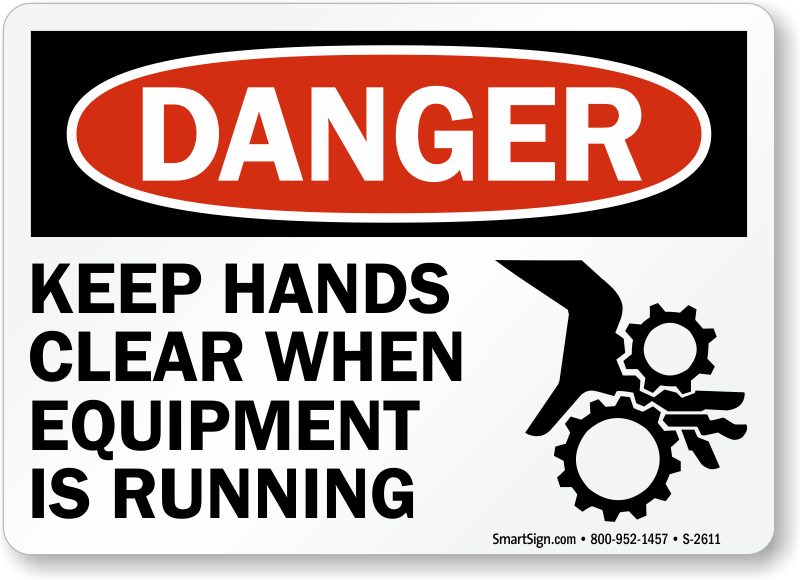 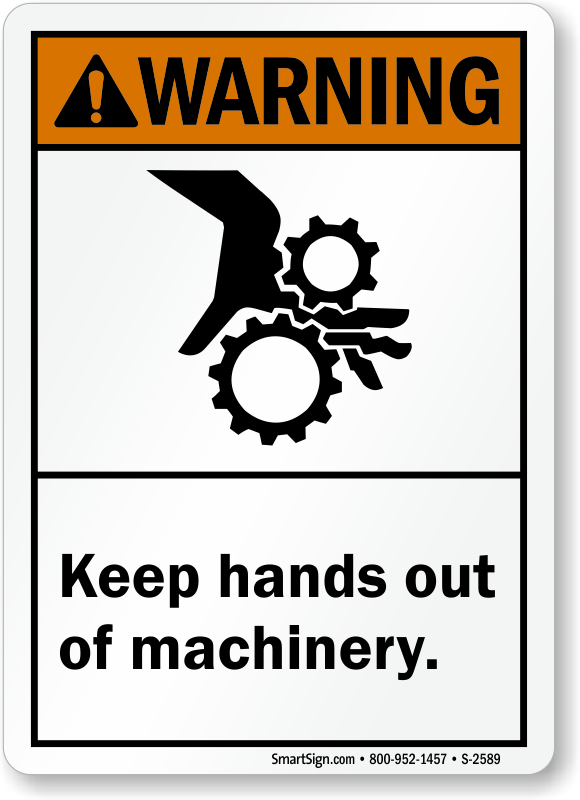 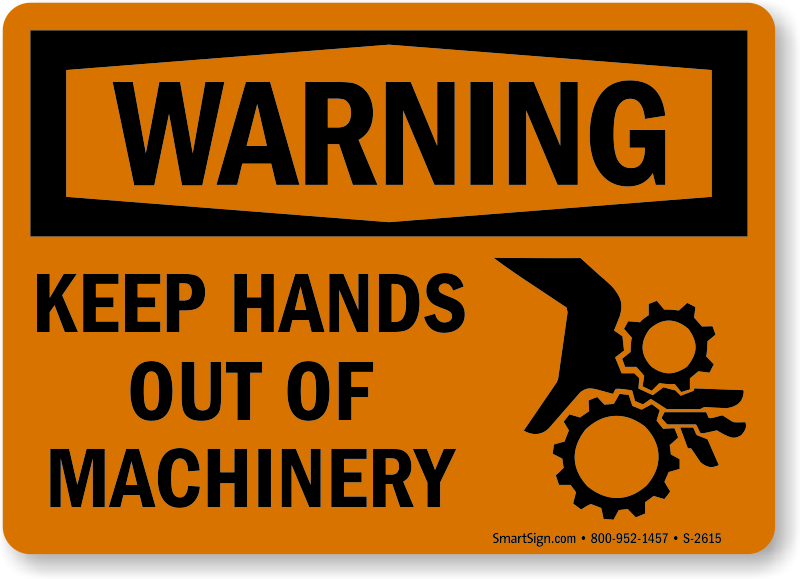 • Order several machine safety labels. 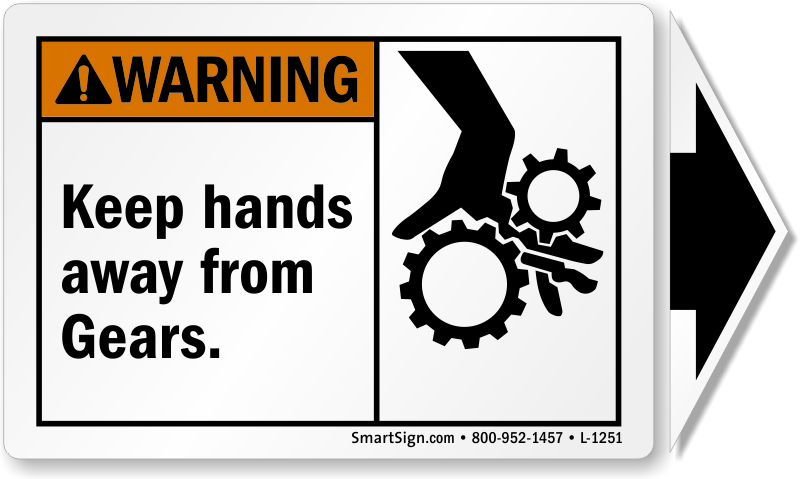 That way, you can place warnings in each hazardous location. 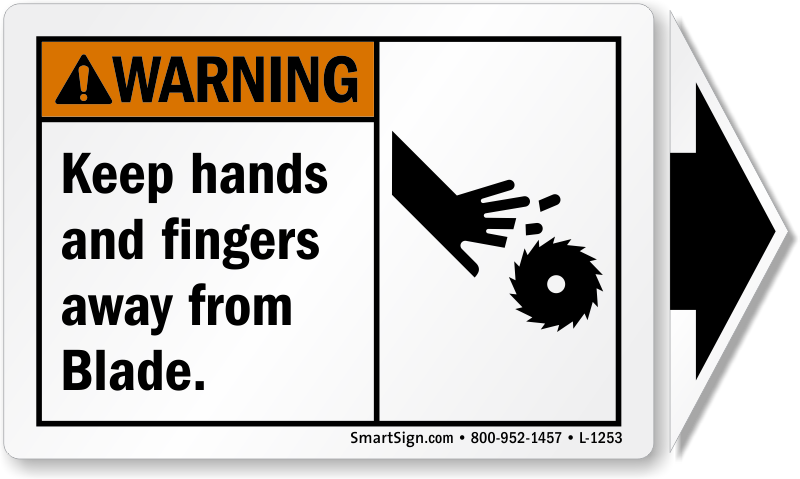 Warning labels are really advertisements for safety and, in most cases, it is hard to over emphasize the message. 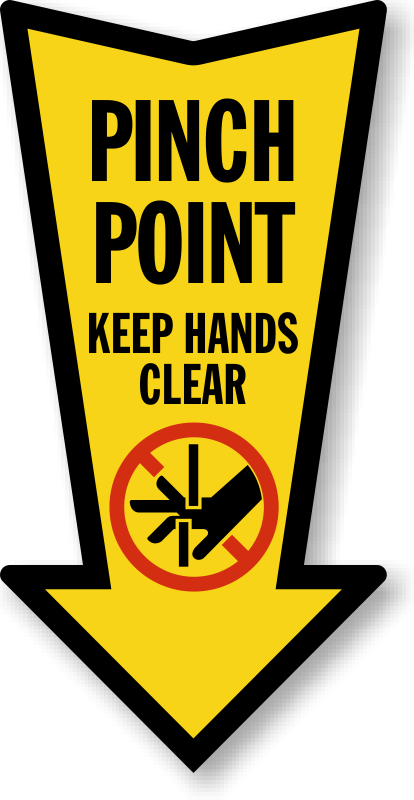 • Listed on this page are many of our Best-Selling Keep Hands Clear Labels. 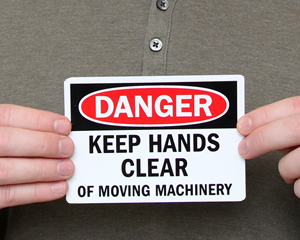 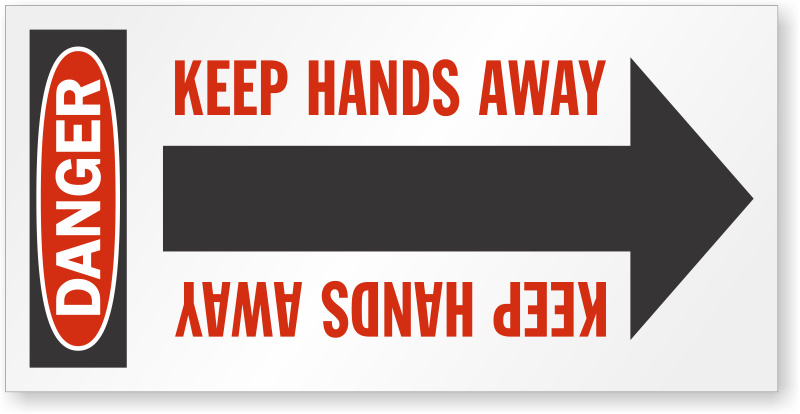 Click here to see all of our Keep Hands Clear Labels. 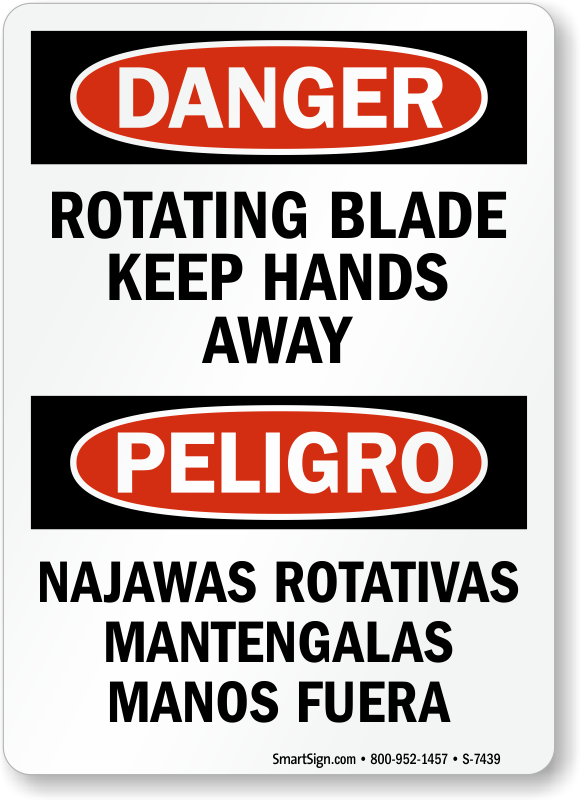 We offer bilingual designs so non-English speakers do not miss your important safety message.